Will you share your life with me?” Jamie Wellerstein said Cathy Hyatt. 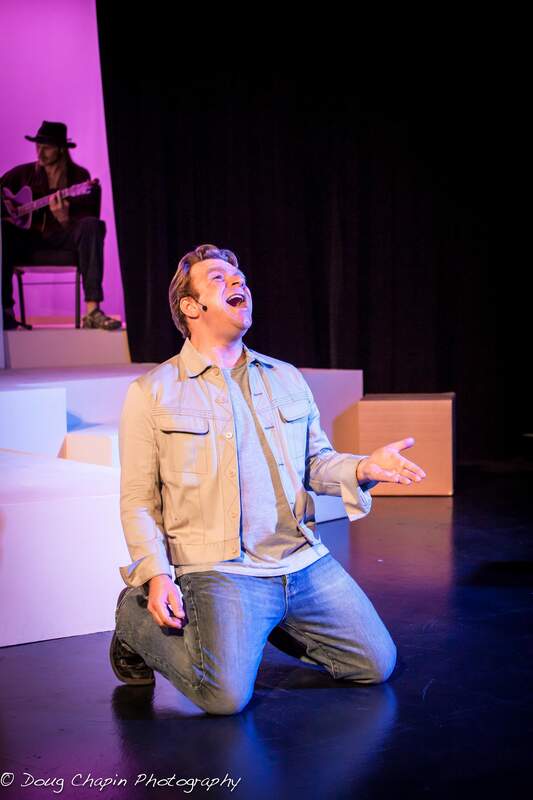 The moment occurs in the middle of the marvelous contemporary musical “The Last Five Years.” Jamie’s proposal leads directly into “The Next Ten Minutes,” a song that functions as a time signature for the whole work. It suggests that life is made up of moments, 10-minute segments that are fleeting and need to be renewed to go forward. Written and composed by the talented Jason Robert Brown, the work premiered in 2001 in Chicago, opened off-Broadway the next year, and rapidly moved on to London and the Edinburgh Fringe Festival. This year, it played in Denmark and many an American regional theater. 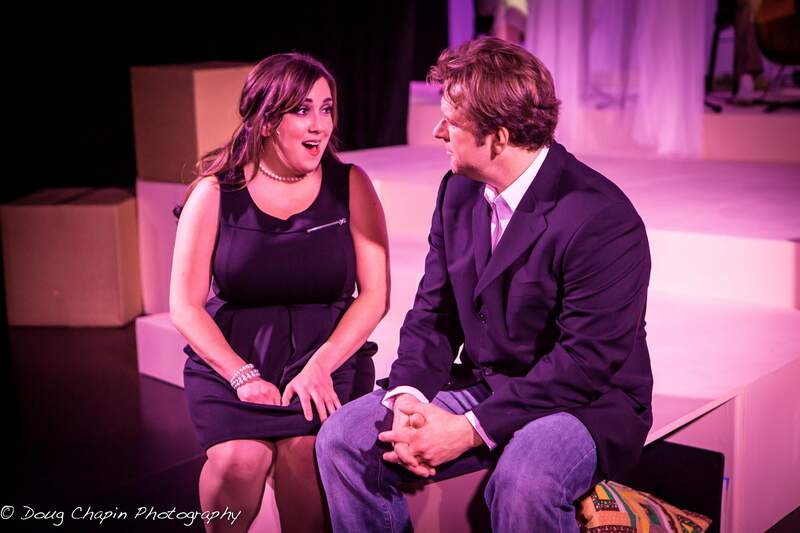 Last weekend, “Five Years” opened at Thingamajig Theatre Company in Pagosa Springs. With winning performances by Durango’s Rachel Saul Pollack and Tim Moore, this savvy dissection of a modern relationship sparkles like a dark emerald. Deep and evergreen, “The Last Five Years” speaks to young and old lovers alike. The musical unravels a five-year romance between Jamie, an aspiring writer and Cathy, a hopeful actress. Time is the third character as is clear when the wedding song turns into a waltz and briefly unites the characters. “The Next Ten Minutes” is a commentary on fragility and underscores the couple’s momentary unity. The song ends in a fleeting unison, a perfect musical metaphor for marriage. That rare moment when both singers pause on the same pitch only occurs one other time, not to be given away here. Time’s effervescence and human vulnerability balance each other in this one-act, 90-minute work. In many ways, it’s more a through-sung song cycle than a conventional American musical. Thingamajig’s four-piece, on-stage orchestra brings just the right texture to the tuneful score with Music Director Venita Burch on keyboard, violinist Heidi Tanner, cellist Jean Broderick and guitarist Dan Fitzpatrick. Among other delights, an unusual storytelling conceit drives the show. Director Laura Moore mentions it in her introduction and it is important. Two timelines intertwine as the songs alternate between the two characters. Cathy’s story starts as the relationship ends and moves backward in time to its bright beginning. Jamie’s story begins at the beginning with a cheerful wave and the excitement of first love. His tale moves toward dissolution. The two narrative lines cross in the middle in the wedding duet. Sounds dramatically tricky, and it is. Director Moore clarifies matters by having her singers walk by and circle each other at the beginning. Then they sing their stories separately, except for pointedly coming together for that brief, magical moment of unity. Played on a clean, timeless stage, the actors sit on white boxes and pull minimal props from inner compartments. You know when they are in New York or Ohio, in an apartment or an office, celebrating Chanukah together or moving on alone. Clear staging and complex storytelling aside, it’s the music that underscores the changing winds of romance. The composer is known for his ability to mix styles. Brown wrote the score for the award-winning Broadway musical “Parade.” Like that work, “Five Years” mixes pop-rock with ballads, small classical riffs with established folk tunes such as “The Dreidel Song.” He uses meter to fast forward or slow down the story as in Cathy’s eager “I’m a Part of That,” set in crisp 4/4 time, or the rolling, dreamlike 6/8 of “The Next Ten Minutes.” At first, the song rocks gently as a boat on the ocean of new love then turns into an old-fashioned waltz. Pollack and Moore are perfectly pitched for this challenging work. Actor-singers are needed as each song dramatizes a new stage in the relationship. Moore’s post-marriage puzzlement, “A Miracle Would Happen,” is a comic gem. Pollack’s “Audition Sequence” starts innocently then morphs in unexpected ways into some brilliant shape shifting. “The Next Five Years” rounds out a remarkable season for Thingamajig. Don’t miss it. 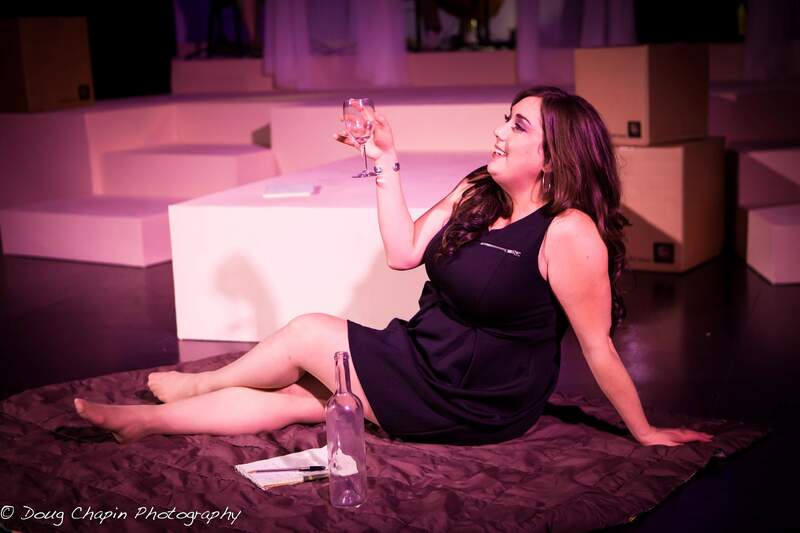 Thingamajig Theatre Company presents “The Last Five Years,” a musical by Jason Robert Brown, directed by Laura Moore, featuring Rachel Saul Pollack and Tim Moore. Show times are 7 p.m. Fridays and Saturdays with a 2 p.m. matinee Sundays through Sept. 30 at Pagosa Springs Center for the Arts, 2313 Eagle Drive. Tickets cost $20 in advance ($25 at the door), available at www.pagosacenter.org or 731-SHOW (7469).